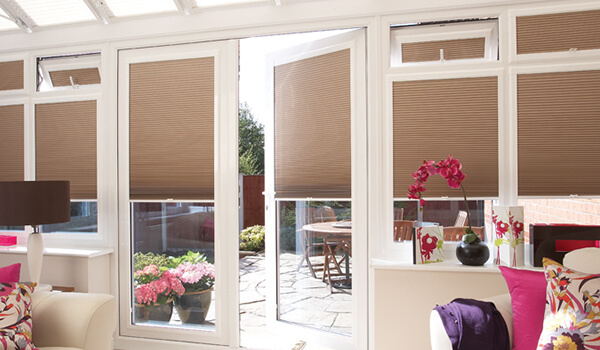 Make the most out of your conservatory by installing made to measure conservatory blinds from Leamington Blinds. A modern and light-filled conservatory is one of the most enchanting spaces in any home, but finding the right type of blinds to neatly cover every window is a challenge. 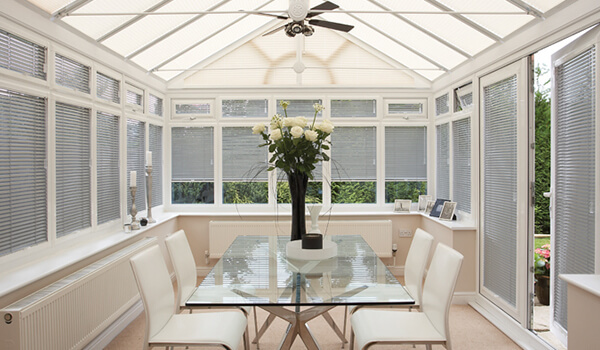 At Leamington Blinds, we have a wealth of experience in supplying and installing dedicated conservatory blinds inside conservatories of all sizes, scales and designs. Perfect fit blinds are definitely the way to go for this room; they attach cleanly inside the frame of your window and can be designed to fit any sized window with ease. 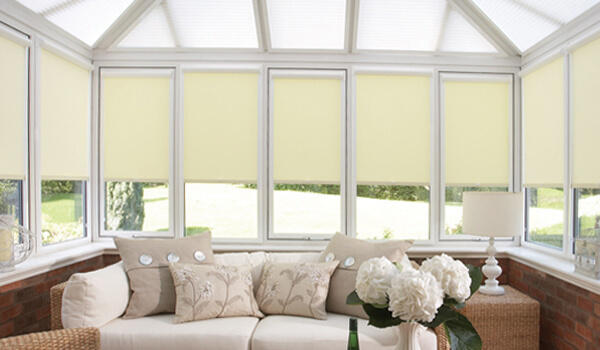 Our team of knowledgeable and friendly experts can help you find the ideal style of blind for your conservatory, whether you’d like perfect fit Venetian, roller or pleated blinds. Each style has their own benefits; whether you need practicality, convenience, pure aesthetic appeal or a combination of all three, it’s never been easier to find stunning conservatory blinds of the most exceptional quality. 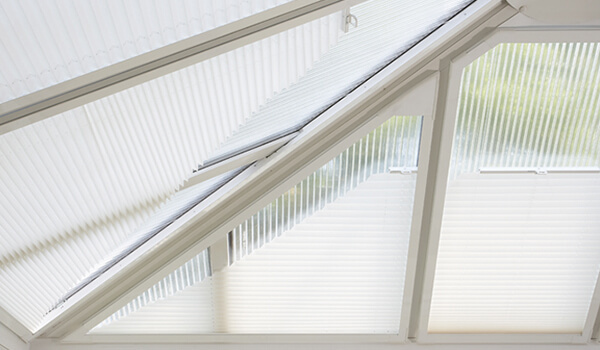 If you’d like to know more about our range of conservatory blinds – or to arrange a home visit in Leamington Spa or the surrounding areas – simply get in touch with our team today. We are always happy to help.